Scanners are essentially just radios that are capable of scanning multiple frequencies until a broadcast is located. When that broadcast ends, the scanner may then start looking for another active channel. Many car radios include a similar type of scan functionality, but they aren’t true scanners. Real radio scanners are usually capable of monitoring UHF, VHF and WFM frequencies in addition to a wider spectrum of the AM and FM bands that regular head units are designed to receive. Since many types of radio broadcasts are relatively short-lived, such as police and fire, weather and emergency transmissions, it can be difficult to locate them manually. They may start at any time and may end at any time. In order to find and listen to these short-lived broadcasts, scanners automate the process of skipping between channels. This is accomplished by setting the scanner to monitor two or more channels, at which point it will cycle between those frequencies until a broadcast is located. Modern scanners are capable of storing thousands of different channels. When a scanner locates an active broadcast, it will pause on that channel. The user can then listen to the broadcast or choose to continue scanning. If the user chooses to listen, the scanner will typically start searching again automatically when the broadcast ends. Some under-dash scanners are built into CB radios, in which case they can typically scan the citizens' band, UHF, VHF, and other frequencies. These radio scanners can also broadcast, but only on the citizens' band. 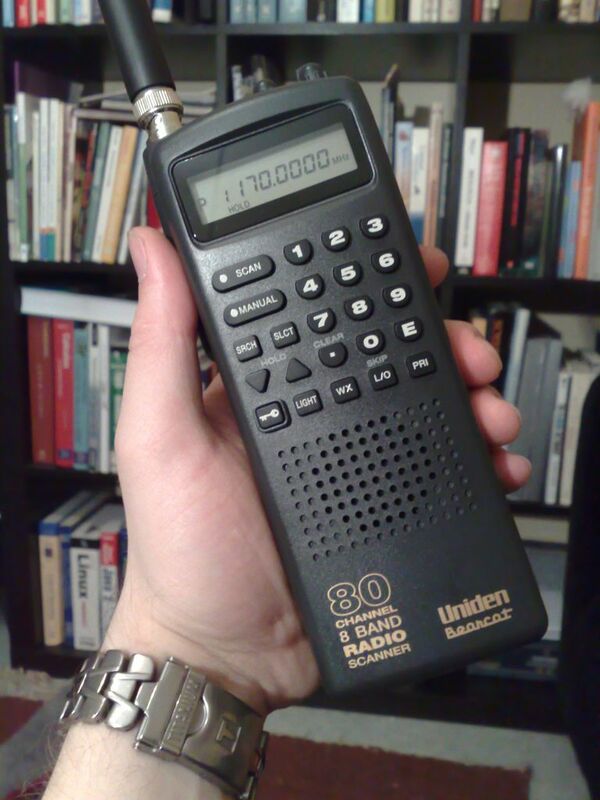 Interestingly, CB is what popularized radio scanners. Journalists and criminal investigators can monitor specific radio frequencies to research stories or gather evidence since those frequencies are unsecured and freely available. Radio hobbyists, on the other hands, simply enjoy listening to a variety of broadcasts. This type of usage typically involves listening to local police and fire frequencies, air traffic control, or even weather radio broadcasts. Other hobbyists, such as railfans, scan for very specific types of broadcasts. Before purchasing and using a radio scanner, it’s important to check into any potential legal implications in your area. Radio scanners are perfectly legal in most jurisdictions of the United States, but there are a number of local and state exceptions. For instance, in Florida, it’s illegal to use a scanner to listen to police broadcasts. Some scanners are capable of tapping into trunked radio systems or decoding cellular phone signals, but this activity is illegal in most jurisdictions. Other types of scanner usage, such as receiving scrambled signals or listening in on cordless telephone calls, may also be illegal, which is why it’s so important to verify the laws in your area before you start using a radio scanner.